While it’s wonderful to get new furniture, disposing of the old stuff can be anything but. Many weekly trash collectors won’t take large, cumbersome items, and it’s a hassle making special trips to the dump to dispose of unwanted junk furniture. If you need furniture removal for your home or business, you need Delaware Junk Removal. Unlike some garbage haulers, we will accept your old furniture castoffs as part of our regular rubbish collection services. 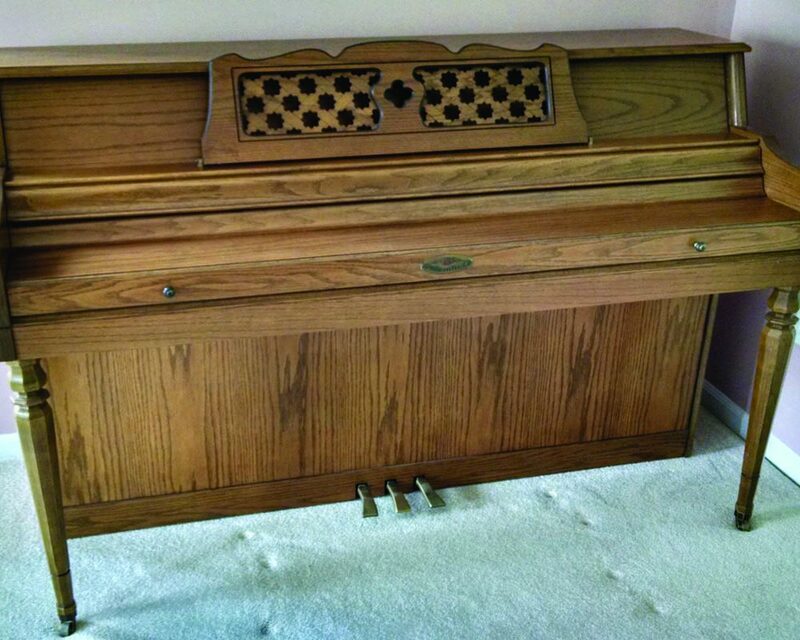 Even oversized pieces such as pianos are no match for our furniture disposal pros. Check out our low prices and rapid turnaround today! Don’t break your back trying to haul off weighty, unwieldy pieces and dispose of them properly: Make a quick call to our local, family-owned company for furniture disposal services that are good for the environment and local community as well as your bank account! Most of the time, when you have new furniture delivered, the delivery people won’t also take your old furniture away. This can lead to quite a bit of frustration on your end. What are you supposed to do with two beds?! Thankfully, that’s where Delaware Junk Removal comes in handy. If you recently ordered a new item, like a couch or dining room table, give us a call for prompt furniture removal. For your convenience, you can even schedule our pickup on the same day your new piece is set to arrive so you don’t have to go a day without a bed or sofa. When you hire Delaware Junk Removal for your furniture removal, you can feel good knowing your used items may very well be going to a local person in need. That’s because, instead of just throwing your old furniture away, we take the time to work with area charitable organizations, helping them as we help you with your used furniture disposal. It’s a win-win service for the Wilmington region, and an easy way to benefit the less fortunate members of our community. To learn more about how your disposal of furniture can support local charities, contact us today over the phone or online!